Plaid enables applications to connect with users' bank accounts. "the solution to keep the financial statements up to date"
to be able to keep the account statements completely updated, and payments to the provider. It also allows you to see all your transactions and be able to estimate the performance of your accounts. the payroll is loaded in an automated and without problems since it has one of the best applications and software for this. the unlimited version is a bit expensive, since it presents very few versions of the program, without security security is primordiar when choosing this type of software since an error could be catastrophic in the case of small companies or when it is used particular way. the free version has a very limited number of articles and when it comes to monetizing a payroll it is impossible to use since nothing else with the accounts of the providers is already used all the space and the unlimited version is a bit expensive for a small company. very easy and safe to check bank accounts, makes the connection to the account without much effort. They have an API that helps this by having companies use it to make their financial balance less tedious. It is the best program for the integration of everything that has to do with business finances as personal things, the mobile version is very adapted to what is needed for this. What Financial Data APIs solution do you use? "Easy to use for authenticating bank accounts and staying in compliance with U.S. regulations." Plaid integrates with a banking software to instantly be able to verify the login credentials of a user and achieve bank level validation so they can link their accounts with our service. There are some limitations to the depth of compliance available in Plaid. If having depth in KYC and AML is important to you, then use Plaid with other systems otherwise its characteristics of being user friendly and easy to deploy make this app one of the better ones I've seen to be able to streamline your process onboarding and validating new applicants or customers. I use Plaid to provide compliance regarding bank verification between other software used in our product for authenticating bank accounts and providing KYC / AML checks on investors. The greatest benefit is the simplicity and ease of use that it provides to a relatively low tech userbase and for something that is quite sensitive, it makes our process smooth and painless. "Fast and impressive customer support team"
Any email I send has a response within the hour and a representative is helping me in any way possible. They are kind in their interactions with you and am grateful for stumbling across such an impressive company. Clarity on pricing seems to be very vague. Monthly costs are still unclear but we like the product so we are moving forward with them. They support our core business functions. They also provide a seamless integration into our APIs. "Great Product Especially for Consumer Faced FinTech Companies "
It makes connecting bank account seamless and way less painful. It makes it so easy for us to support our customers. I wish they had a status page for all the banks, not just the major ones. When a small bank's linking process is down, we get no notifications or whatsoever. Improve the status page, please so we can know what's going on when our customers reach out to our support team. We are using Plaid to link our customers bank accounts to their profile. Plaid is pretty easy and secure in order to verify customer bank accounts when dealing with ACH transactions. They have a straight forward API and pricing to make using this service a business must. Nothing so far as the relationship is just beginning to develop. Smart company that is easy to work with and has great pricing. You will not be disappointed. 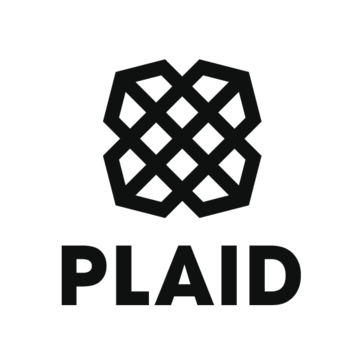 Many companies are not great to work with but Plaid is definitely not one to be scared to partner with. The benefits of using Plaid include cutting the old school penny transactions out of the set up process making bank account verification easy and simple in just a few clicks of a button after entering bank login credentials. I really liked how easy it was to get started and integrate Plaid into our platform. It was intuitive and well-documented the entire way through. There isn't much to dislike, although the developer community is smaller than other payment platforms, leading to more difficulty when troubleshooting. We've been able to dramatically decrease the complexity of our code, while saving time in the process. "Very fast and easy connection to bank accounts"
It’s very fast and easy to use. They also have lots of support for banks, even regional banks. Some times it can be slow to connect to a bank, but usually does eventually work. Being able connect to a bank account having to handle bank information directly. Seemlessness of integration with thousands of banks. Can get expensive fast if your business grows quickly when you start with their no-contract pricing. Verifying the bank account of customers and ensuring that they have enough funds to cover the requested ACH transfer. "Great for staying compliant "
So amazing how it helps with verifications of users. * We monitor all Plaid reviews to prevent fraudulent reviews and keep review quality high. We do not post reviews by company employees or direct competitors. Validated reviews require the user to submit a screenshot of the product containing their user ID, in order to verify a user is an actual user of the product. Hi there! Are you looking to implement a solution like Plaid?